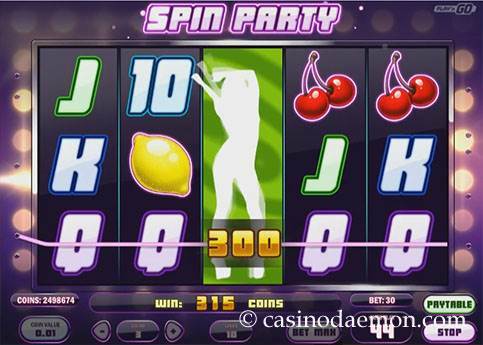 Spin Party from Play'n GO is a wild nightlife slot where you can win up to 250,000 coins in a single round. The design of the symbols is rather traditional, showing lemons, bells, cherries, 7s and bars, but it is spiced with up with silhouettes of wild dancers and wild dance music. 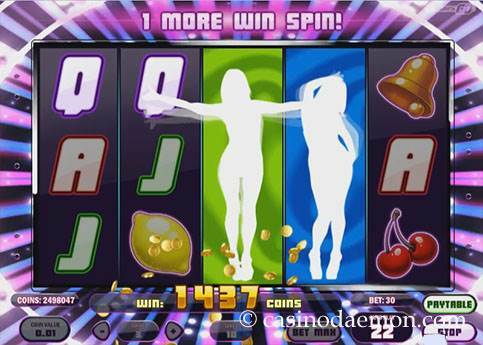 The game doesn't have many special features, but it does have the wild reel re-spins that give you additional chances for winning combinations and the Win Spins with guaranteed wins on every round. The variance of the game is low to medium, and the feature with the wild re-spins triggers relatively often. The theoretical return to player is 96.5%, and you can also play Spin Party mobile on many different devices, as the game is optimised for mobile play. On this page you can play Spin Party for free without any obligation to spend your hard-earned money. If you decide that you like the game, and you want to try your luck for real money you can play it at one of the online casinos listed on this page. The main feature of this game are the wild dancers. They replace other symbols for winning combinations, and they also expand to cover the entire reel. 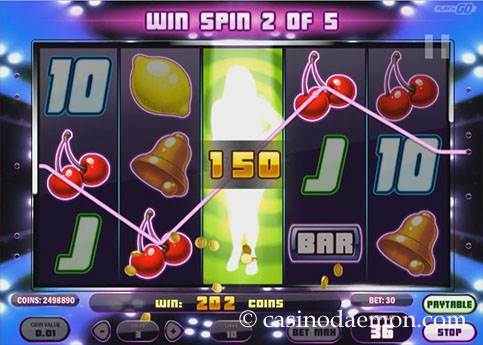 They can appear on reels 2, 3 or 4, and you also get a free re-spin giving you another chance of additional winnings. If you get two or more of these wilds, you will trigger 5 free spins, called Win Spins. What makes them special is that a win is guaranteed on each spin and every wild will be sticky for the following spin. You can re-trigger up to 20 Win Spins. 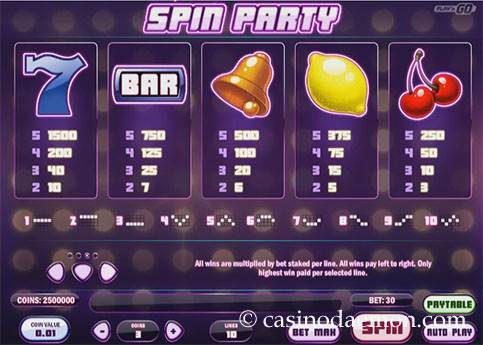 The Spin Party slot has 5 reels with 10 fixed pay-lines. You can select coin values of 0.01 - 2 £/€/$ and also choose to play up to 5 coins per line. The minimum you have to play in one round is 0.10 £/€/$, and you can raise your bet upto 100 £/€/$ per spin. Automatic play is also possible.